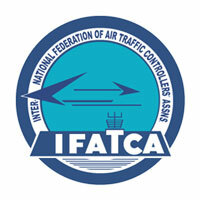 The Tunisian Air Traffic Controllers’ Association is hosting the IFATCA Think Safety workshop. This hugely sought-after event is our Federation’s most effective tool for expanding awareness of just culture and a core understanding of systemic safety concepts. Fifteen signatories, including IFATCA, support the European regulatory authorities in producing a robust, harmonised, EU-wide regulatory safety framework that enables the safe, secure, efficient and fair integration of drones in the aviation system, and fosters broad public acceptance. In order to facilitate the integration of drones in very low-level airspace (i.e. below 500 ft) and preserve the high level of safety in the entire European airspace, we jointly call to accelerate the implementation of a number of measures as detailed in the declaration. In essence, the European Commission, the Airlines and the Performance Review Body (PRB) don’t seem to acknowledge that there is an obvious connection between the immense focus on cost reduction in RP1 and RP2 and the current delay situation in Europe. It is clear that the Commission uses the same thinking for RP3 as used for RP1 and RP2. The staff organisations predict that the results will be the same: similar or more delay, underinvestment in the areas where there is an urgent need, a continued disharmony between the needs of the airlines and the performance of the ANSPs, continued distrust between the main stakeholders while there is no visible benefit for the passenger. During the 2019 World ATM Congress​ in Madrid, the International Federation of Air Traffic Safety Electronics Associations (IFATSEA), the European Cockpit Association (ECA) and the International Federation of Air Traffic Controllers’ Associations (IFATCA) have jointly been awarded the Single European Sky Excellence Award. Needless to say that as representatives of air traffic controllers worldwide, IFATCA is honoured to share this award with our engineering and pilot colleagues. We also want to explicitly recognise all of our members for their continued commitment and skill with which they uphold the highest safety standards in often challenging circumstances. IFATCA wants to thank the European Commission for recognising the vital role the front-line operators play in keeping aviation the safest mode of transport. Marc Baumgartner (left, IFATCA SES Coordinator), Costas Christoforou (middle, IFATSEA Regional Director Europe) and Loïc Michel (right, ECA Technical Policy Advisor) accepting the award on behalf of European staff. There is a growing worldwide shortage of air traffic controllers, a profession which is key to a safe aviation industry. Forecasts from the International Civil Aviation Organisation, a United Nations specialized agency, predict a shortfall of over 40,000 controllers over the next 20 years. Many of IFATCA’s Member Associations also report a decreasing interest from qualified applicants to pursue a career in ATC. As with aviation in general, women remain significantly under-represented in our profession. Given the gender imbalance, investing in making the profession more attractive to women could tap into a currently underused demographic, which currently risks missing out on up to 50 % of the recruitment base. 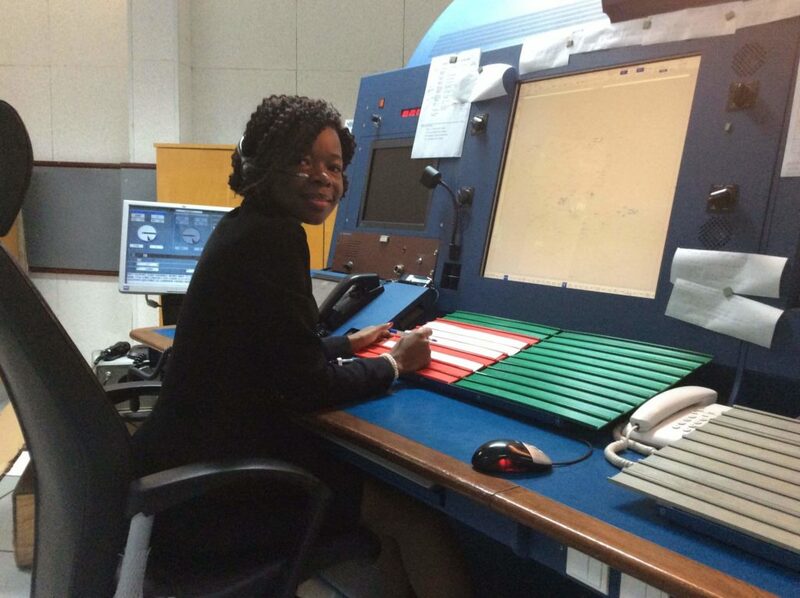 In most countries, female air traffic controllers remain a minority. While an increasing number of women have been working as controllers over the past decades, there is still a significant imbalance, even in the public perception of the job. While a controller requires specific skills, none of these correlates directly to gender. Our profession is generally open to female applicants, however greater effort is needed to make it more accessible and attractive to women, and to encourage them to apply. 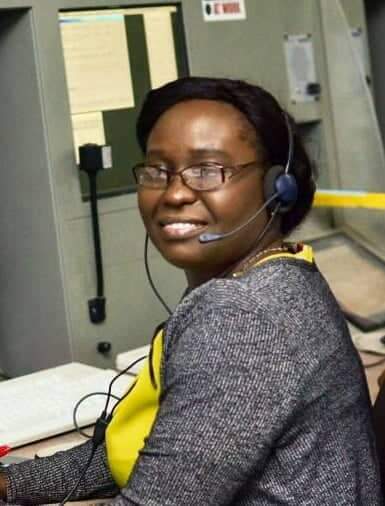 As the professional organisation representing over 50,000 air traffic controllers worldwide, IFATCA joins other organisations on March 8th, the International Women’s Day. We acknowledge the contributions of all female colleagues to our unique profession. At the same time, we recognise the women who are at the start of their career in ATC and encourage those that are considering pursuing one. 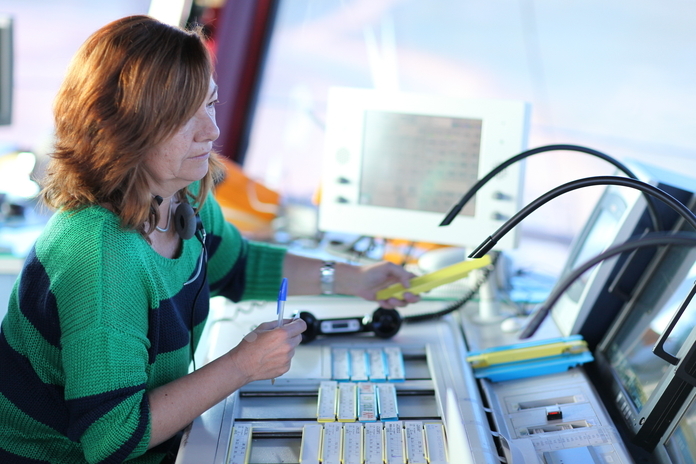 IFATCA highlights the importance of role models to help convince new generations of women that they have an essential role in aviation and in air traffic control. We call upon employers and lawmakers to ensure an equal opportunity environment exists in recruitment, training and career opportunities. Any existing bias should be removed, aiming for a more balanced gender distribution in air traffic control, and aviation in general. IFATCA has released two new guidance documents. The first one is a checklist for Member Associations to verify their ANSP/Country’s compliance with European Regulation 2017/373 on stress, fatigue and psychoactive substances. While obviously most relevant to European associations, it may be of use to others to crosscheck how they are doing in respect to this regulation. 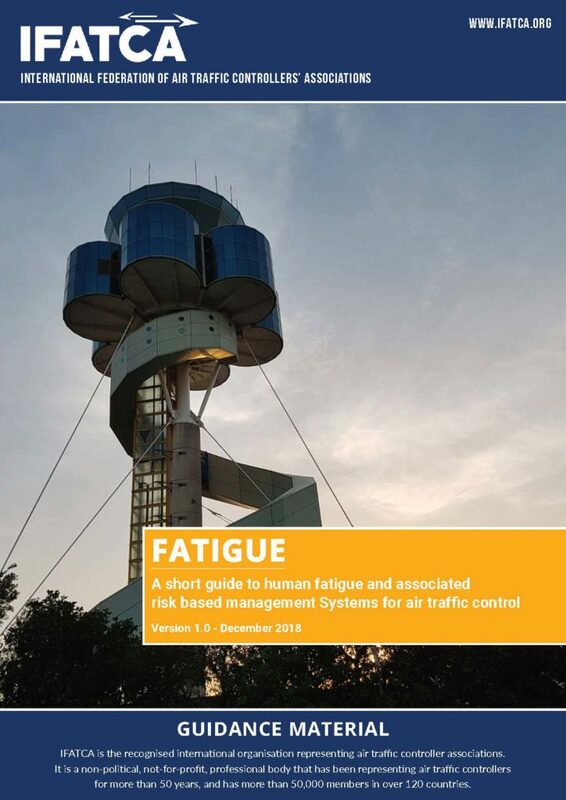 The second document is a short guide to human fatigue and associated risk based management Systems for air traffic control. Both documents can be found in our guidance material section, under the education tab. 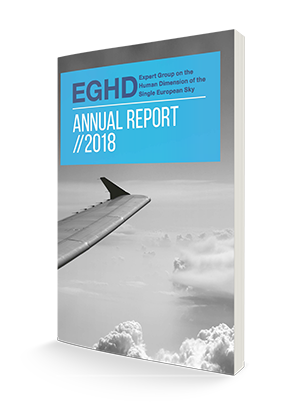 The Expert Group on the Human Dimension (EGHD) of the Single European Sky (SES) was formally established by the European Commission in 2017 to advise on the implementation and development of SES from a human dimension perspective. It represents the opinion of all frontline operators and support staff who are impacted by the latest regulatory, operational and technological changes resulting from SES. The group is co-chaired by Paul Neering, an experienced IFATCA Representative. Within the group, IFATCA is represented by Anders Liebl (DK). They have just published their 2018 Annual Report, which gives an excellent overview of the importance of this group. In partnership with the International Civil Aviation Organisation (ICAO), IFATCA is hosting another ‘Think Safety’ workshop. With the support of our Spanish Member Association USCA, the venue for this edition is Madrid, Spain. This aviation safety workshop is aimed at aviation professionals who wish to improve their understanding of safety processes, safety culture, and just culture. Some of the most respected experts in their field participate as presenters and moderators. They have experience in Safety Management and training, and are an integral part of the international ATC community through IFATCA. They have also spent time in the various IFATCA regions and understand the regional/cultural challenges that a healthy and open safety culture can present. The Executive Board of IFATCA regrets to announce the resignation of Mr. Patrik Peters, IFATCA President & Chief Executive Officer, effective 1 March 2019. In a letter to the IFATCA Member Associations, Mr. Peters explained that personal circumstances no longer allow him to fully focus on the needs of the Federation. Over the past 13 years, Mr. Peters has held several positions on the Executive Board, including the post of President and Chief Executive Officer for the last 5 years. As such, we are humbled by and grateful for his long dedication to our Federation and commitment to the air traffic control profession. Mr. Peters took this decision in full coordination with the Executive Board. We therefore expect the transition to be smooth, despite the fact that Mr. Peters’ input and experience will leave a void. In accordance with our constitution, the responsibilities of the President and Chief Executive Officer will automatically transfer to the Deputy President until the next annual conference. Our Member Associations will formally elect a successor to Mr. Peters at our Annual Conference in Costa Rica, from May 20-24, 2019. The outcome of the elections of the Executive Board will be communicated in due time.